We are excited to announce that Bridget Kromhout will be a keynote speaker at Ohio LinuxFest 2018! Bridget Kromhout is a Principal Cloud Developer Advocate at Microsoft. Her CS degree emphasis was in theory, but she now deals with the concrete (if ‘cloud’ can be considered tangible). After 15 years as an operations engineer, she traded being on call for being on a plane. 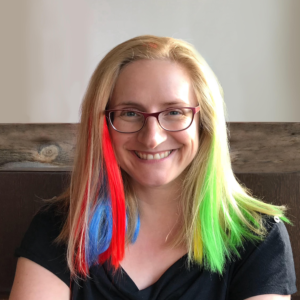 A frequent speaker and program committee member for tech conferences, she leads the devopsdays organization globally and the devops community at home in Minneapolis. She podcasts with Arrested DevOps, blogs at bridgetkromhout.com, and is active in a Twitterverse near you.